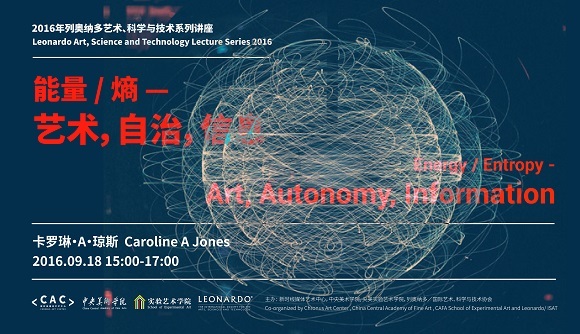 Art & Technology @ is an experimental project initiated by Chronus Art Center (CAC) and co-presented by CAC, Shanghai, China, ZKM | Center for Art and Media in Karlsruhe, Germany and Nam June Paik Art Center in Seoul, South Korea. The A&T@ program aims to update this valuable legacy to meet the challenges and opportunities brought about by the ever more rapid innovation and ubiquitous deployment of digital technologies that dominate contemporary experience, as manifested in every aspect of the social, economic and cultural constitution of a global society; and to bring to date constructive cooperation between artists and technologists through critical dialogue and creative engagement. A&T@ supports leading Chinese artists working in traditional media to venture into otherwise inaccessible channels of advanced programming and production facilities by pairing them with technologists and related industry to develop works that are unique and different from their established artistic vocabulary and formal strategies, thus opening up new horizons, furthering the experimental potential for these artists and, in turn, contributing to the development of art making in the twenty-first century. The commissioned works are of a research nature, which require methodical approaches, close ideation, iteration and prototyping among the collaborating parties. The research and production cycle is approximately one year. The result will be first exhibited at CAC in a dual or trio exhibition format co-presenting one or two internationally renowned (media) artist or in conjunction with select work(s) in the collection of the international partner institution (museum collection). This paired exhibition format creates an exchange and dialogue between contrasting methodologies toward the use of technology and from different cultural and historical perspectives interpreting the nature of technology and its ramifications in shaping contemporary consciousness. The exhibition then travels to an international partner institution. The @ symbol indicates that the A&T program is an open platform which embraces future partner venues and collaboration with @ representing its diverse destinations. The entire process will be documented and archived for scholarly publication at a later date. The first artist commissioned in this series is the internationally renowned painter LIU Xiaodong. The resulting exhibition in conjunction with Nam June Paik and Carsten Nicolai is scheduled to premiere at Chronus Art Center in the Fall of 2016 and travel to ZKM | Center for Art and Technology in Karlsruhe, Germany in the Fall of 2017, and the Nam June Paik Art Center in Seoul, South Korea in the Summer of 2018 respectively.